Lots of coverage of Ohio on Skateandannoy.com recently. Public Square Group got Day 4 of 5. Other features include Alien Workshop, Fickle Skateboards, Condensed Flesh, and some random photos from around the state. Josh Nims, a skateboarder from Philadelphia, gives a Ted Talk about the economic value of skateparks. 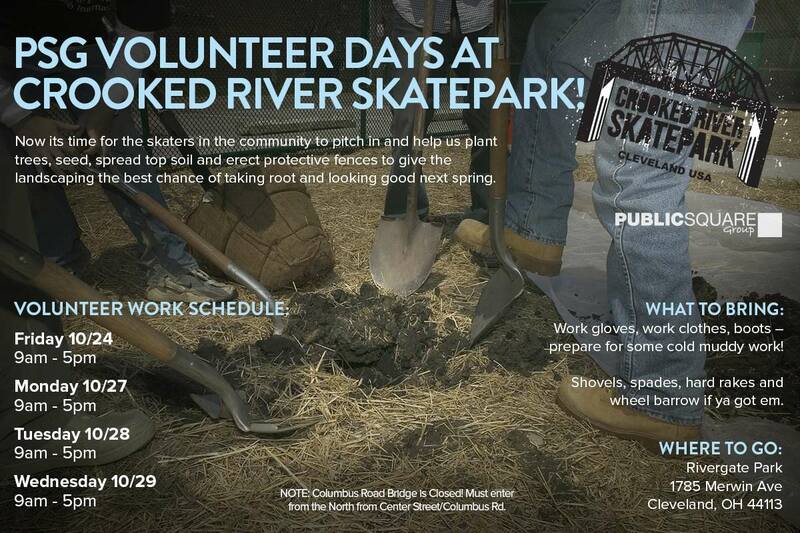 PSG Volunteer Days at Crooked River Skatepark! Now its time for the skaters in the community to pitch in and help us plant trees, seed, spread top soil and erect protective fences to give the landscaping the best chance of taking root and looking good next spring. Shovels, spades, hard rakes and wheel barrow if ya got em. Show up during the hours you can and be prepared to work. When you arrive, ask for Alan Kraus and he will add you to the team. NOTE: Columbus Road Bridge is Closed! Must enter from the North from Center Street/Columbus Rd. 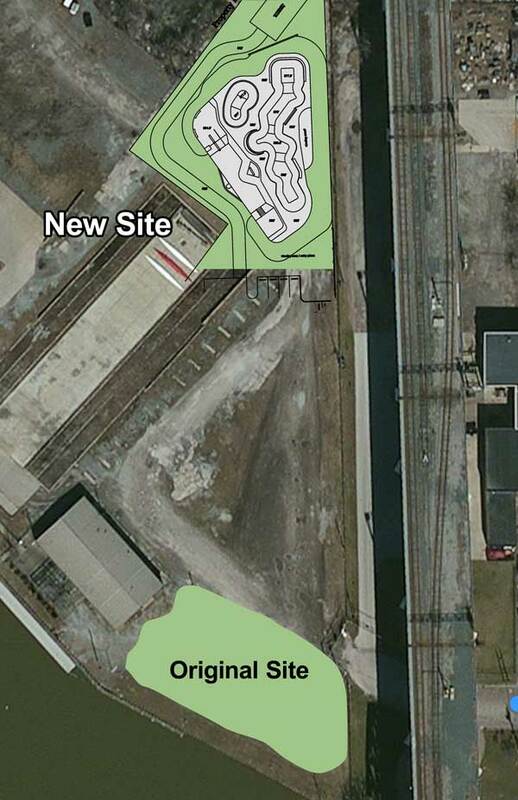 The City of Cleveland has advanced the skatepark project through the final hurdles and committees and are preparing to break ground! 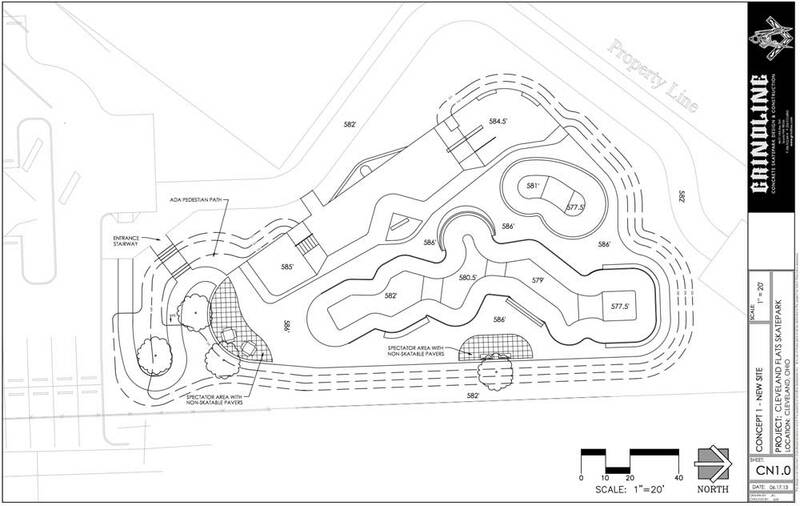 The park design has had to endure many modifications but the final park will be pretty similar to the original design. The new public art component has been awarded to Dru Mckeown of TOI studio. 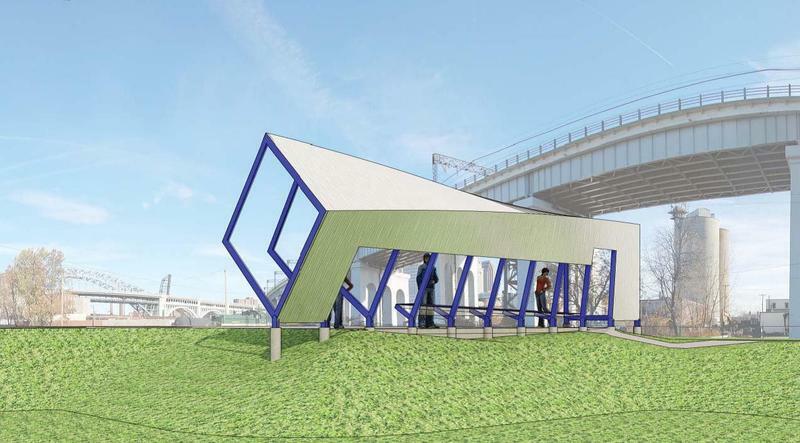 Dru presented a shade structure that was reminiscent of the shipping containers so prevalent along the riverfront and a nod to Flats industrial history. 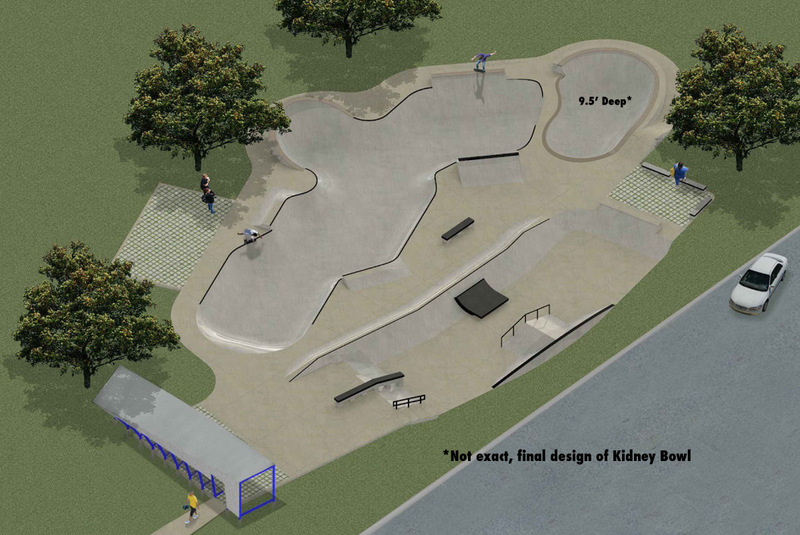 The Skate Kitchen is looking for a new location for next Fall 2014. The current space down on East 30th will be active until May 1st, 2014. The space we rented from Jakprints needs to be converted to accommodate the growth of the company. Jakprints has created over 180 jobs and is on pace to add more next year. When we started the Skate Kitchen we knew it would be temporary but we used this space to develop the concept and we hoped to bring more attention to the space. Back then there were no other tenants in the building and as we leave, there are new offices all around and new design and merchandising businesses moving in. We want to do get a better floor, more variety but keep the Keyholder system we created. 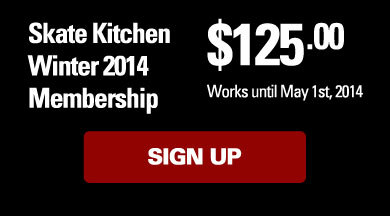 New short-term Skate Kitchen Keyholder Memberships now available! Age 18 and over! For the rest of the winter, we are opening a small number of keys for a short term keyholder membership will be active through May 1st for a one time charge of $125. Current key holders who have not renewed can renew at the short term rate or renew at the full term rate and be active at the new location. Its your call. Sign Up Here until December 15th. We have some new locations in mind but we want to hear from all the current members as to what we should look for. Skate Kitchen meeting Monday 12/2 at 7:30 PM. If you have ideas for fundraising, events at the Kitchen, or new obstacles come to the meeting. If you have a ramp or obstacle at the Kitchen, you can keep it there or take it out. What about my current Skate Kitchen Keyholder Membership? All current, active keyholders will keep their keys through the term of their membership. We will apply these to the next location and you will keep the annual rate. The new location will have more overhead so most likely the annual membership rates will go up. Come to the meeting Dec 2nd at the Skate Kitchen. After many years of hour long skate lessons spanning 5 weeks or so, we responded to the requests for more stuff with a new 5 day long Skate Camp based out of Lakewood Skatepark but covering more than just skating around the banks and blocks. Skaters who sign up for the new Skate Camp will not only get some extended skating time with PSG counselors each day, but we will also be diving in to some more skateboard culture with a trip to West Side to learn more about board maintenance and how a shop works (along with some skating on the West Side ramp). On Friday we will be starting the morning at The Skate Kitchen to skate our ramp and try some skills on some of the other elements there. We will also get a peak into the skate industry at Jakprints to see where skate shirts, stickers and boards are designed, printed and merchandised. Skate Camps run on a Monday through Friday with each day starting at 9:00 AM to 10:30AM. 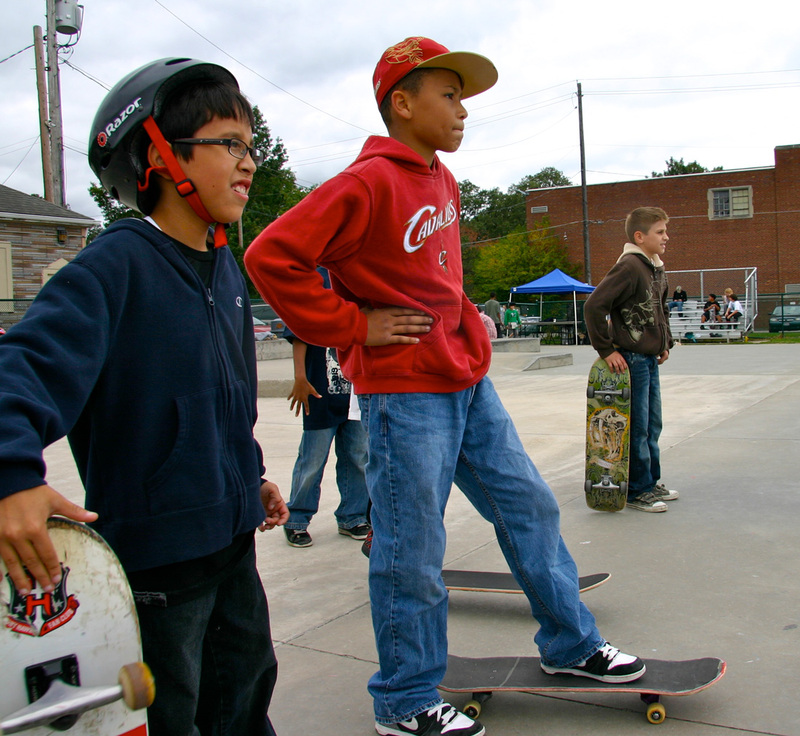 Transportation is required to get to Lakewood Skatepark, West Side and the Skate Kitchen. Skate Camp is for skaters 8 years and up who have had some skating experience and want to meet more friends and learn more about the skate world. Dickies skate team stopped by Lakewood for a session and some autograph signing time. After hanging out at West Side and checking out some skate spots around town, Kevin Terpening, Vincent Alvarez, Stevie Perez, Peter Hewitt, Dan Plunkett and Tom Remillard hit up Lakewood Skatepark in the evening and put on a demo for everyone. Kevin Terpening used to ride Lakewood when it first opened and easily handled everything like it was yesterday. Vincent Alvarez was still hurt so he just hung with the kids. Stevie Perez and Tom Remillard and Dan Plunkett destroyed the park and put together some new lines and combos that no one probably even thought of. Thanks to the City of Lakewood for some extra attention at the park that day and West Side for hosting the team. Thanks to Daniel Wheatley and Atiba for coming through - hope to see some Cleveland footage/photos of these guys!